Veterans' Coffee Company ships gourmet coffee right to your door. We introduce customers to the great international coffees we enjoyed while serving overseas. Explore the world's best coffees from the comfort of your own home. We offer a huge range of single-origin coffees, flavored coffees, and blended coffees. We are doing a fundraiser with the P.O.W. Network, a non-profit organization, from Nov. 11, 2018, to Feb. 14, 2019. 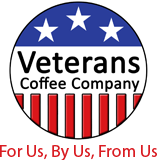 For every pound of coffee sold, Veterans Coffee Company will donate $1 to the P.O.W Network. Please help us make this fundraiser a success! Each year, a group of veterans from various U.S. wars get together to remember their fallen comrades over coffee and breakfast. During one of these meetings, they got to talking about the different coffees they had enjoyed while serving in different countries around the world. One member of the group mentioned how good it would be if they could enjoy all those different coffees again, right here in the United States. The group laughed about the idea, but Chief wasn't laughing—he was thinking! 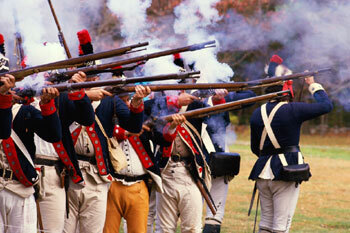 Veterans' Coffee Company of Orlando, FL, brings fresh-roasted, gourmet coffees from around the world to your door. We love sharing fresh-roasted coffees with our customers, and we're sure you'll love drinking them!